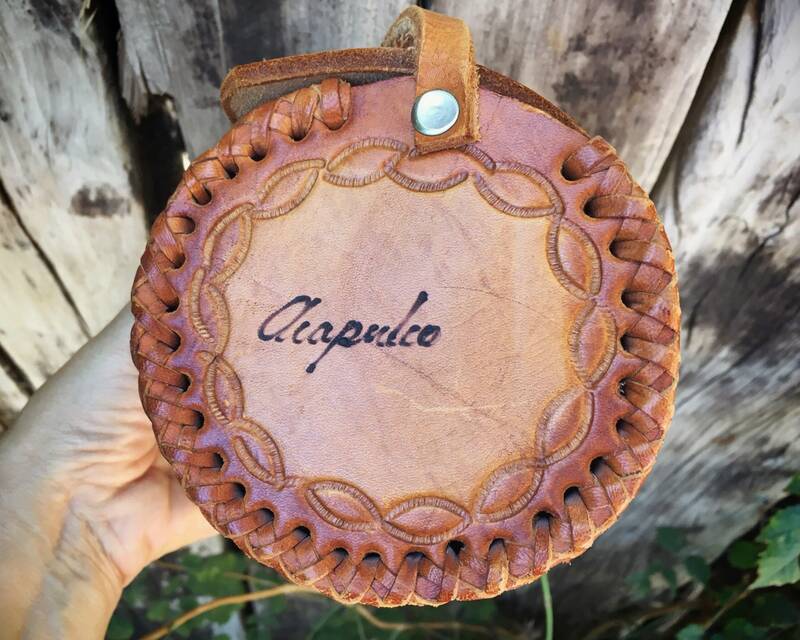 This leather purse is a small saddle bag that one would have purchased as a tourist in Acapulco, the name of the city burned or embossed onto each side. 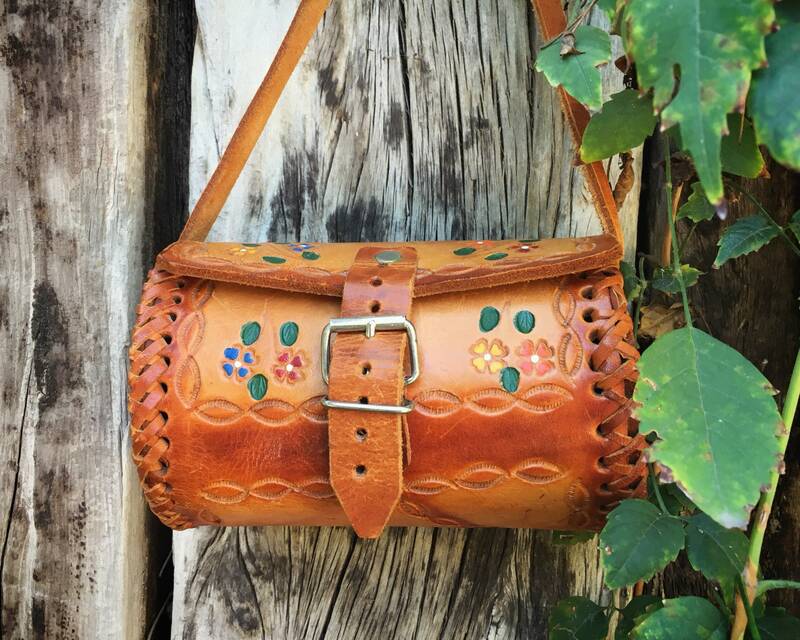 Shaped like a smaller version of a saddle bag, tubular and with a buckle, the purse is quite charming and perfect for those occasions for which you need or want a small bag to carry essentials: cell phone, keys, a small wallet. 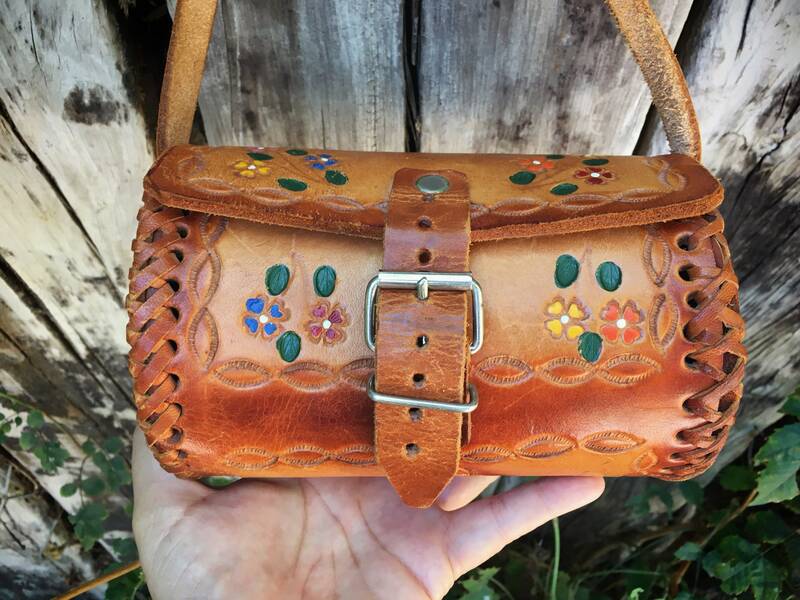 And that is exactly what you get with this purse, that perfect small size, and a "what you see is what you get" style--all leather with painted designs in the tooled section, simple and fun. 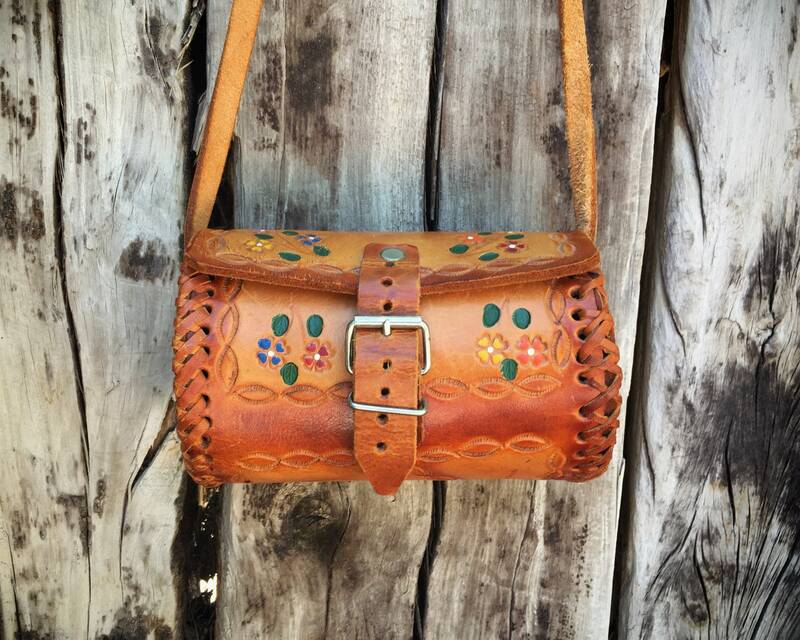 Also a great purse for that girl or young woman who has an old soul and has a hippie vibe to what she wears. 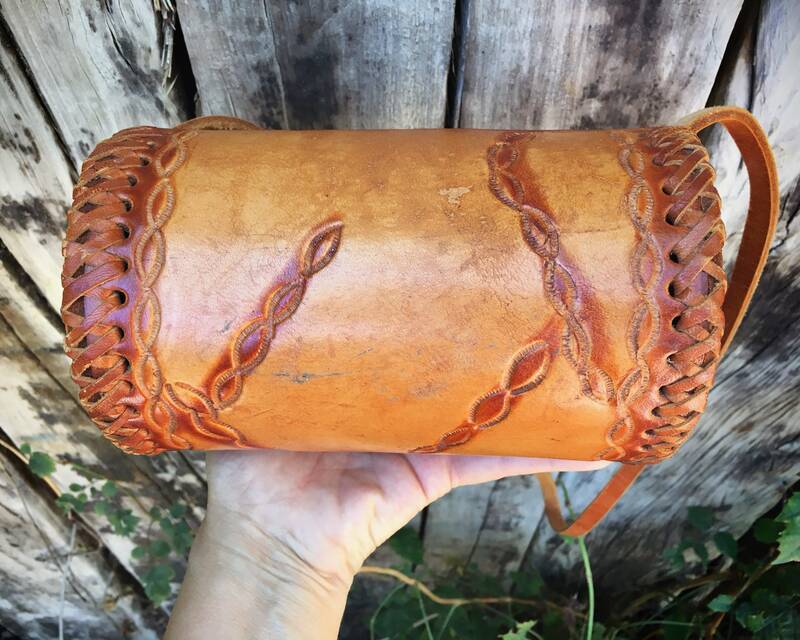 Measures 7" across and about 4-1/2" in diameter. 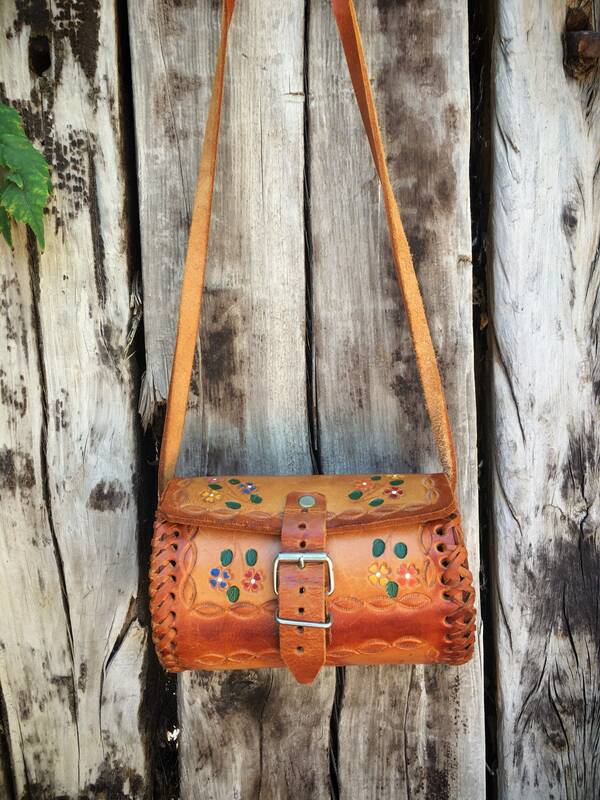 Strap is just under 39" long (or 19-1/2" when you consider it halved) and is not adjustable. 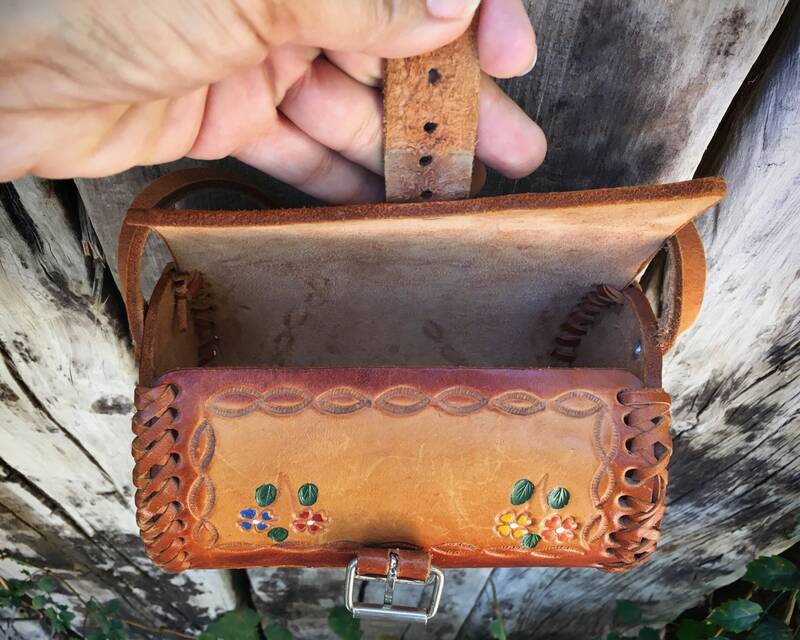 Interior is not lined, and the leather has a few scuffs yet is in good condition overall. 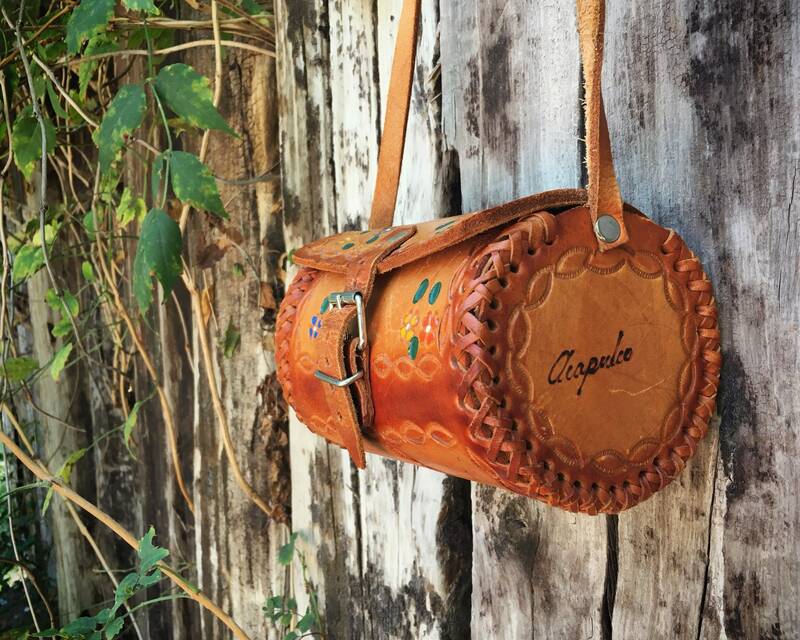 Fabulous souvenir purse that has versatility today--not to mention that cool factor!